Dr. Mountcastle has been practicing vascular surgery for over 15 years and has performed more than 5,000 vein procedures. He has been recognized as a Registered Physician in Vascular Interpretation (RPVI) and is also the Medical Director of our Vascular Laboratory that has been awarded vascular testing accreditation through the Intersocietal Commission for the Accreditation of Vascular Laboratories (ICAVL). Dr. Mountcastle makes it his mission to assist patients who are plagued with varicose or spider veins and is pleased to notify patients that their symptoms can easily be resolved with painless, insured and in-office-based minimally invasive procedures. For additional information, follow the link below. Click here to view our Varicose Vein treatment prices. Varicose veins are ropy appearing blue vessels under the skin, usually ¼ inch or larger in diameter. They are most often branches from the saphenous trunk veins, and have enlarged due to the excess pressure in the saphenous system. Varicose veins are unsightly and often painful. A clotted varicose vein causes the classic phlebitis, hot and red and painful skin at the site of the clot. Beside the visible symptoms, physical symptoms are tiredness, restless legs at night, heaviness in the leg, pain, aching, itching, throbbing and swelling, burning or a cramping sensation. We are here to answer all of your questions about Vein procedures. To learn more, check out our FAQs. Prominent spider and varicose veins can disrupt the uniform beauty of your legs, and can cause you to feel less confident. We recognize that patients are unique and that their treatments should be individualized as well. That is why we perform a through consultation and exam, including a vein ultrasound, before beginning any course of treatment. The initial step is to speak with Dr. Mountcastle to review your medical history. By allowing Dr. Mountcastle to examine your skin and vein health, you can discuss your symptoms and goals with him, while learning about treatment options. He will guide you toward the procedure that will improve not only your appearance, but your daily quality of life. Venous ultrasounds are performed in our office daily by our experienced Registered Vascular Technician. Same day appointments can be accomodated for urgent cases. 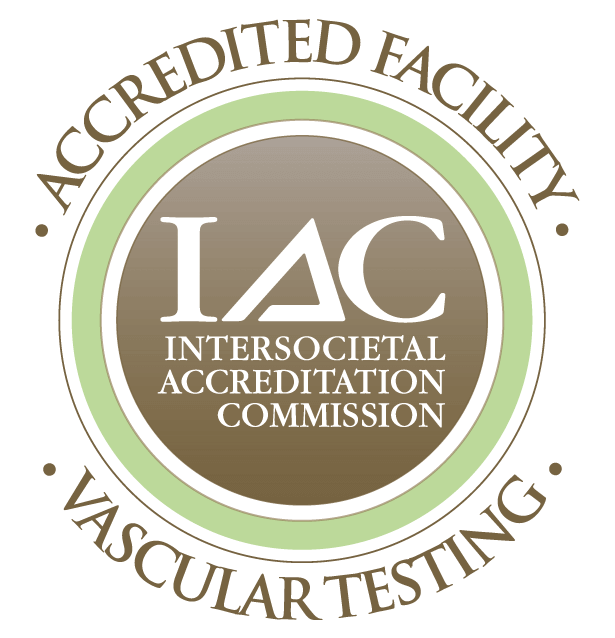 Our vascular laboratory also performs arterial and carotid ultrasounds and has been awarded accreditation by the Intersocietal Commission for the Accreditation of Vascular Labs (ICAVL). Following the ultrasound, the results are submitted to your insurance company for authorization. All insurance coordination is taken care of by the office for the patient. Dr. Mountcastle’s office is in-network with a majority of insurances. If you are unhappy with the appearance of your veins, or if they cause you discomfort or pose risks to your health, contact us today to set up an appointment. By speaking with Dr. Mountcastle about your varicose veins and treatment options, we can help you boost your confidence and safeguard your health. We look forward to helping you achieve relief. Mountcastle Plastic Surgery & Vein Institute offers a variety of cutting-edge, quality treatments for venous diseases. We are committed to the science and advancement of vein care. Microphlebectomy is a method of surgical removal of surface veins. This is usually completed in our office using local anesthesia. Incisions are tiny (stitches are generally not necessary) and typically leave imperceptible puncture mark scars. Post-operative discomfort is minimal. After the vein has been removed by phlebectomy, a bandage and/or compression stocking is worn for a short period. 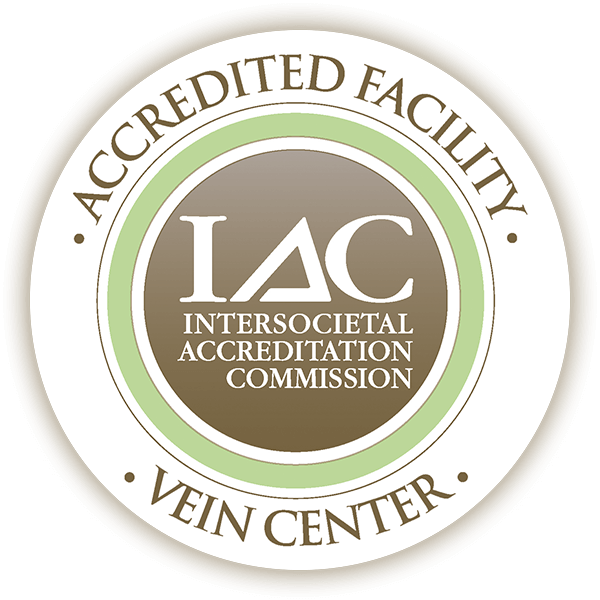 Mountcastle Plastic Surgery and Vein Institute is an IAC accredited Vein Center and Vascular Center. Sclerotherapy is a cosmetic medical procedure used to treat varicose veins and spider veins. A tiny needle is used to inject a solution directly into the vein. The solution irritates the lining of the vessel, causing it to swell and stick together, and the blood to clot. Overtime, the body will absorb the treated vein. Mild discomfort may occur, and a cramping sensation may be felt for 1 to 2 minutes when larger veins are injected. The number of veins injected in one session is variable, depending on the size and location of the veins, and the patient’s overall medical condition. Anywhere from one to several sclerotherapy sessions may be needed for any vein region. Medically prescribed support hose and/or bandages may need to be worn for several days to several weeks to assist in resolution of the veins. In general, spider veins respond to treatment in 3 to 6 weeks, and larger veins respond in 3 to 4 months. The VNUS® Closure® Procedure, an alternative treatment option to traditional vein stripping surgery, brings state-of-the-art technology to an age-old disease. The Closure procedure is performed on an outpatient basis. Using ultrasound, your physician will position the Closure catheter into the diseased vein, through a small opening in the skin. The tiny catheter delivers radiofrequency (RF) energy to the vein wall. 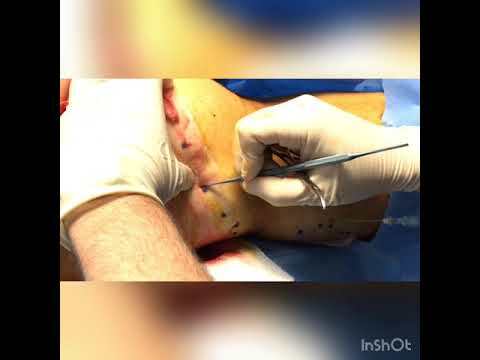 As the RF energy is delivered and the catheter is withdrawn, the vein wall is heated, causing the collagen in the wall to shrink and the vein to close. Once the diseased vein is closed, blood is re-routed to other healthy veins. Following the procedure, a simple bandage is placed over the insertion site, and additional compression may be provided to aid healing. Your doctor may encourage you to walk, and to refrain from extended standing and strenuous activities for a period of time. Patients who undergo the Closure procedure typically resume normal activities within a day. Patients who are good candidates for laser vein removal have visible veins on their body, including the thighs and lower legs, that cause them to avoid shorts and swimsuits out of embarrassment. Some patients also develop spider veins on their face, which can be minimized or erased by laser vein therapy. Patients should be in good general health before the procedure and should tell their doctor if they have a history of blood clots or may be pregnant. Laser vein removal is best for larger veins, while scelrotherapy is best for removing smaller veins or if used with laser vein removal. Veins treated with laser vein removal have a smaller chance of returning than if sclerotherapy alone is used. The doctor will help each patient determine their best treatment choice based on their specific concerns and goals. Spider veins are the smaller veins that are often on the surface of the skin and most patients want these removed for cosmetic reasons. Varicose veins are thicker veins that can cause swelling, cramping, itching, and may continue to grow if not treated.